Quickly and effectively incorporate 3D printing into your workflow with native CAD support, cloud-connected printers, guided wireless setup, and improved file management. 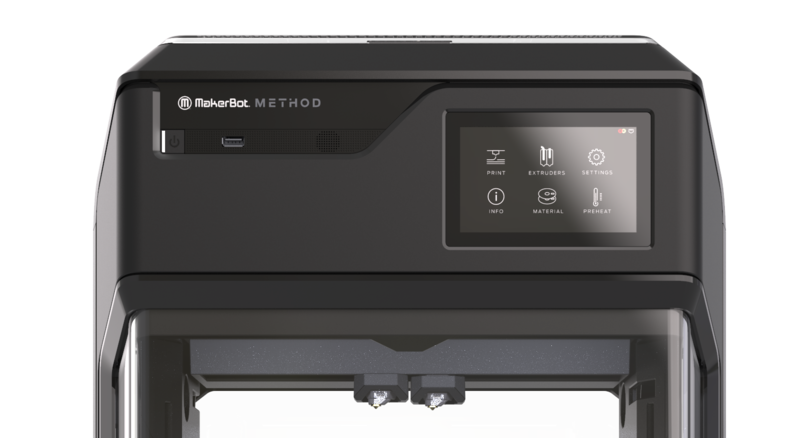 MakerBot's printers are rigorously tested for over 380,000 hours to deliver reliability and the print precision needed for accurately representing your concepts. MakerBot can provide your solution in Education from single Desktop 3D Ptinters through multiple 3D devices to Starter Labs and up to full Innovation Centres. Thingiverse Education offers over six hundred free lessons and a community of educators where you can exchange tips and best practices. Elevate real-world problem solving and immersive hands-on learning in your classroom with products built for reliability, ease of use, and performance. Enriching the teaching of STEM (science, technology, engineering, mathematics) and design subjects. and students in Key Stage 1, 2 & 3 using CAD and 3D printers can: assist with the process of: Plan; Design; Make and Evaluate quickly and apply technical knowledge. The Department for Education funded a project exploring potential use of 3D devices. Schools found 3D Print enriched teaching across STEM & design subjects.